Summary: Researchers have identified a potential mechanism for the development of alcoholism. Source: Higher School of Economics. Researchers from the Higher School of Economics, Ecole Normale Supérieure, Paris, Indiana University and the Russian Academy of Sciences Nizhny Novgorod Institute of Applied Physics have identified potential alcoholism mechanisms, associated with altered dopaminergic neuron response to complex dynamics of prefrontal cortex neurons affecting dopamine release. Interacting neuronal populations in the cerebral cortex generate electrical impulses (called action potentials), that are characterized by specific spatial and temporal patterns of neural firing (or complex neural dynamics). These firing patterns depend on the intrinsic properties of individual neurons, on the neural network connectivity and the inputs to these circuits. Taken as a basis for this computational study is the experimental evidence for a specific population of prefrontal cortex neurons that connects via excitatory synapses to dopaminergic and inhibitory ventral tegmental area (VTA) neurons. Thus, the structure of neural firing in the prefrontal cortex can directly affect dopamine cell response and dopamine release. Boris Gutkin leads the Theoretical Neuroscience Group at the HSE Centre for Cognition and Decision Making. One of the group’s research areas focuses on neurobiological processes leading to substance abuse and addiction – specifically, on detecting links between the neurobiological mechanisms of a drug’s action and observable behavioural reactions. 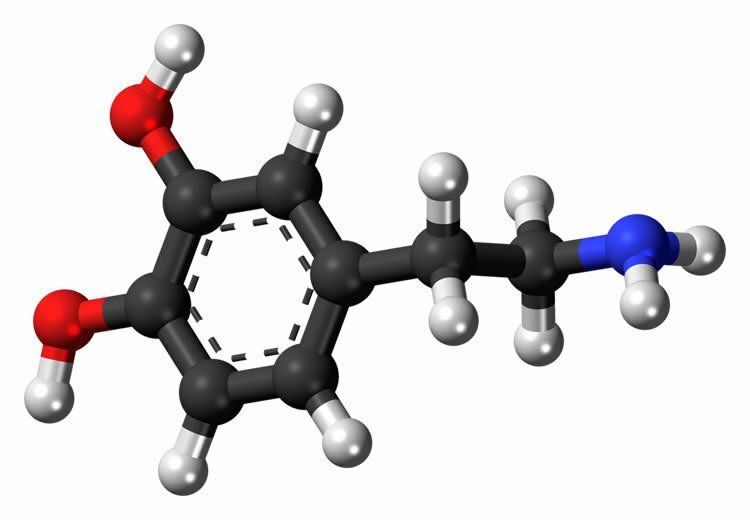 In particular, the researchers use mathematical modelling to examine specific characteristics of dopaminergic neuron firing patterns and dynamics which can lead to addiction. Dopamine, a neurotransmitter released by dopaminergic neurons in the brain, is a chemical which plays a key role in the internal brain reward system that drives learning of motivated behavior. By acting within the reward systems in the brain (e.g. the ventral tegmental area found deep in the mid-brain; the striatum, responsible for selecting correct actions and the prefrontal cortex that controls voluntary goals and behaviors), it signals either unexpected reward or anticipation of reward resulting from a particular action or event. Thus, dopamine provides positive reinforcement of behaviours that lead to these rewards, causing them to be repeated. Conversely, where a particular action fails to produce the expected positive effect or is followed by an unpleasant event, dopamine release decreases sharply, leading to frustration and an unwillingness to repeat the behaviour in question. Many dopamine neurons produce these learning signals by emitting rapid bursts of spikes when the animal receives more reward than expected or pausing when there is less than expected. In order to govern the learning correctly, the number of bursts (and the dopamine released) must be proportional to the discrepancy between the received and the expected reward (for example if one expects to get 50 euros for his work, but gets 100; the dopamine activity should be proportional to 50; when one expects 50 but gets 500; the activity should signal a number proportional to 450). Hence the bigger the mismatch – the stronger the response. Yet another subgroup of dopamine neurons simply signals when stimuli are important for behaviour or not giving binary all or none responses. These binary signals then drive orienting or approach to the important behaviors. So the two dopamine cell populations have different response modes: analogue learning signal or all-or-none important alert. Recent research by Gutkin’s group conducted jointly with scientists from Indiana University (Alexey Kuznetsov, Mathematics and Christopher Lapish, Neuroscience) and the RAN Institute of Applied Physics (Denis Zakharov) suggests potential mechanisms of alcohol’s effect on dopaminergic neuronal activity. Their paper ‘Dopamine Neurons Change the Type of Excitability in Response to Stimuli’ published in PLOS features a computational model of dopamine (DA) neuron activity, describing its key properties and demonstrating that the DA neuron’s response mode can vary depending on the pattern of the synaptic input (including that from the prefrontal cortex). When in the first mode, the amount of dopamine released by the DA neurons reflects the learning signal propotional to the difference between what an animal or human expects and what they actually receive as a result of a certain action. When in the second DA neuron mode, dopamine release serves as a reference binary signal indicating whether or not a certain event is important. Hence the results of the computational study imply that dopamine neurons may not be two distinct populations, but are capable to move flexibly from one response mode to another depending on the nature of the signals they receive. In a related study, ‘Contribution of synchronized GABAergic neurons to dopaminergic neuron firing and bursting’, published in the Journal of Neurophysiology the same group suggests that in addition to direct links between DA and prefrontal cortex neurons, indirect neural inputs from the prefrontal cortex via inhibitory (GABAergic) VTA neurons should be considered. In particular, the researchers found that signals from the prefrontal cortex can cause GABAergic neurons to synchronise, producing a strong inhibitory effect on DA neurons. The study found that in some cases, such inhibitory effects can lead to paradoxical results: instead of suppressing DA neuron firing and thus decreasing dopamine release, they can multiply DA firing frequency leading to higher dopamine release and positive reinforcement. Experimental evidence suggests that alcohol is capable of modifying DA neuron firing patterns, both indirectly via prefrontal cortex and inhibitory VTA neurons, and directly by acting on DA neurons per se. Based on Gutkin and his collaborators findings, one can hypothesise what mechanisms may be involved. Dopamine, a neurotransmitter released by dopaminergic neurons in the brain, is a chemical which plays a key role in the internal brain reward system that drives learning of motivated behavior. NeuroscienceNews.com image is for illustrative purposes only. The VTA has about 20,000 DA neurons, in someone who is not alcoholic, some of these serve to signal that a certain stimulus has importance, while the rest transmit the error signal. A certain balance between the two types of signals is essential for good judgment and proper behaviour. Alcohol disrupts the balance by changing both the pattern of neural activity in the prefrontal cortex and DA neuron properties. This change may bias more neurons to signal importance as opposed to the error. So, under alcohol influence, any stimulus associated with alcohol is treated by DA neurons as having behavioural and motivational importance, regardless of whether or not it matches the anticipated outcome, while in the absence of alcohol, neural firing would normally be consistent with the expected and received reinforcements. This effect may be the reason why alcoholics may eventually develop a narrower than normal range of behavioural responses, dooming them to seek to use alcohol. In doing so, they are either unaware of potential consequences of their actions or, even if they can anticipate such consequences, this awareness has little or no effect on their behaviour. According to surveys, most alcoholics understand that they may lose their home and family and even die from binge drinking, but this rarely stops them. To properly assess the consequences of drinking, their prefrontal cortex needs to integrate and learn to properly represent the negative expectations from this behaviour, supported by reinforcement learning signals from DA neurons. This may not happen, however, because alcohol (like other mood-altering substances) can affect both the neural activity in the addict’s prefrontal cortex and their DA neurons directly, blocking the learning. Finding a way to balance out the dopamine function in the addicted brain and to elicit adequate neural responses to environmental stimuli even under the influence could offer hope to people with substance abuse problems. Funding: Funding provided by Russian Ministry of Education, NIH/National Institute on Alcohol Abuse and Alcoholism. Higher School of Economics “Alcoholism May Be Caused by Dynamical Dopamine Imbalance.” NeuroscienceNews. NeuroscienceNews, 10 March 2017. Higher School of Economics “Alcoholism May Be Caused by Dynamical Dopamine Imbalance.” http://neurosciencenews.com/alcoholism-dopamine-6226/ (accessed March 10, 2017). The dynamics of neuronal excitability determine the neuron’s response to stimuli, its synchronization and resonance properties and, ultimately, the computations it performs in the brain. We investigated the dynamical mechanisms underlying the excitability type of dopamine (DA) neurons, using a conductance-based biophysical model, and its regulation by intrinsic and synaptic currents. Calibrating the model to reproduce low frequency tonic firing results in N-methyl-D-aspartate (NMDA) excitation balanced by γ-Aminobutyric acid (GABA)-mediated inhibition and leads to type I excitable behavior characterized by a continuous decrease in firing frequency in response to hyperpolarizing currents. Furthermore, we analyzed how excitability type of the DA neuron model is influenced by changes in the intrinsic current composition. A subthreshold sodium current is necessary for a continuous frequency decrease during application of a negative current, and the low-frequency “balanced” state during simultaneous activation of NMDA and GABA receptors. Blocking this current switches the neuron to type II characterized by the abrupt onset of repetitive firing. Enhancing the anomalous rectifier Ih current also switches the excitability to type II. Key characteristics of synaptic conductances that may be observed in vivo also change the type of excitability: a depolarized γ-Aminobutyric acid receptor (GABAR) reversal potential or co-activation of α-amino-3-hydroxy-5-methyl-4-isoxazolepropionic acid receptors (AMPARs) leads to an abrupt frequency drop to zero, which is typical for type II excitability. Coactivation of N-methyl-D-aspartate receptors (NMDARs) together with AMPARs and GABARs shifts the type I/II boundary toward more hyperpolarized GABAR reversal potentials. To better understand how altering each of the aforementioned currents leads to changes in excitability profile of DA neuron, we provide a thorough dynamical analysis. Collectively, these results imply that type I excitability in dopamine neurons might be important for low firing rates and fine-tuning basal dopamine levels, while switching excitability to type II during NMDAR and AMPAR activation may facilitate a transient increase in dopamine concentration, as type II neurons are more amenable to synchronization by mutual excitation. Ah, the search for the Grail continues! Dopamine is the anger and motivation chemical in the brain. I should know, as I gave 25,000 patients 1,000,000 Rx to adjust this and other neurotransmitters in their unbalanced brains, resulting in great psychic relief and restoration of mood and motivation. Ethyl alcohol triggers pre-synaptic inhibitory GABA receptors on GABA inter-neurons in striate ganglia, especially in the Central Nucleus of the Amygdala, which is the source of the master stress hormone: CRH (cortico-tropin releasing hormone). The hypothalamus is also a source. Alcohol addicts are no-longer trying to get “high” and are just trying to calm down and forget their worries. They are seeking relief, not excitement. The anti-anxiety drugs, including benzodiazepines, like Valium and Xanax, etc., trigger the same receptors and are used by patients to achieve the same effect. The focus on the “pleasure” pathways in addiction are an old and inaccurate sacred cow in addiction research circles. Most of these wet lab researchers have never even met an addict or alcoholic and their total lack of clinical experience comes through loud and clear in their researches. It’s all in my book, “Stress R Us”, available on the MAHB website as a free PDF in their “library”, just search the title in the library window on the homepage. This article is just another example of wasted taxpayer research monies in the academic wet lab research industry, which is irrelevant to actually treating those of us with drug and alcohol addictions.